'Perfect' is a word that is used to describe something that is without flaws. Although it gets thrown around quite a bit, there aren’t many things in life that conform to that definition. Same goes for cars. There isn’t a perfect one in existence and there is unlikely to ever be one. But some come quite close to attaining that tag and the seventh generation BMW 5-Series, specifically the BMW 530d, is one such car. Why do I feel that way? Well, read on to find out. 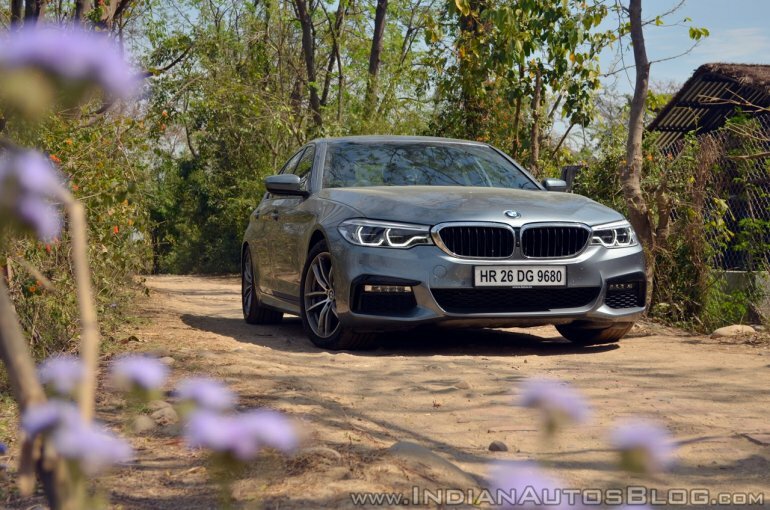 The exterior of the G30 5-Series builds on its predecessor’s design, a far cry from the opinion-dividing lines of Bangle’s E60 5-Series. The low set nose with the sleek headlamps accentuates the car’s width giving it immense road presence. 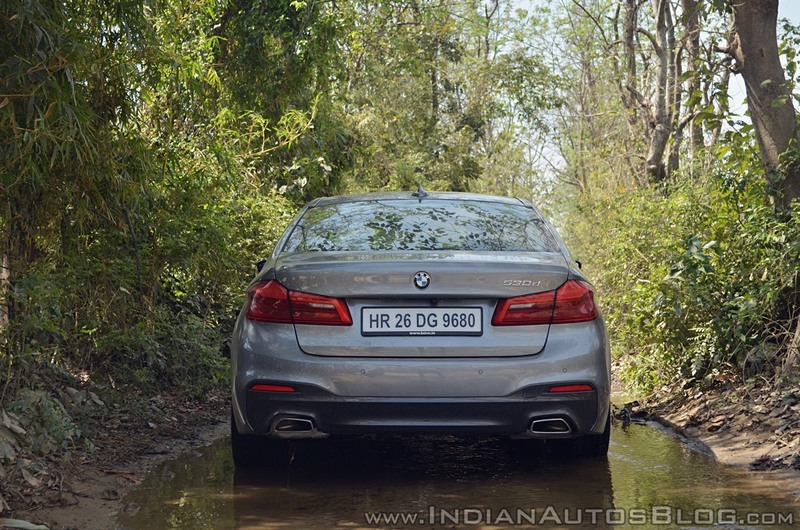 A long bonnet and short boot provide the 5-series with sporty proportions. This M Sport spec, thanks to the sharper front bumper, blackened bits on the grille and front and rear bumper, angular exhaust pipes, and the 18-inch double-spoke M alloy wheels, adds more aggression to the exterior. The 530d finished in Bluestone Metallic with the M Sport bits as seen in the pictures here is exactly how I would spec it. In all, BMW offers seven exterior paint shades, and as many as nine alloy wheel designs ranging from 17-inches to 20-inches. The petrol 5 can be had only in the Sport Line trim, while the 520d diesel variant is on offer in Sport Line and Luxury Line trim. The range-topping 530d is available only in M Sport trim. What’s like on the inside? The cabin oozes class and elegance with its tasteful use of different materials and varying textures. 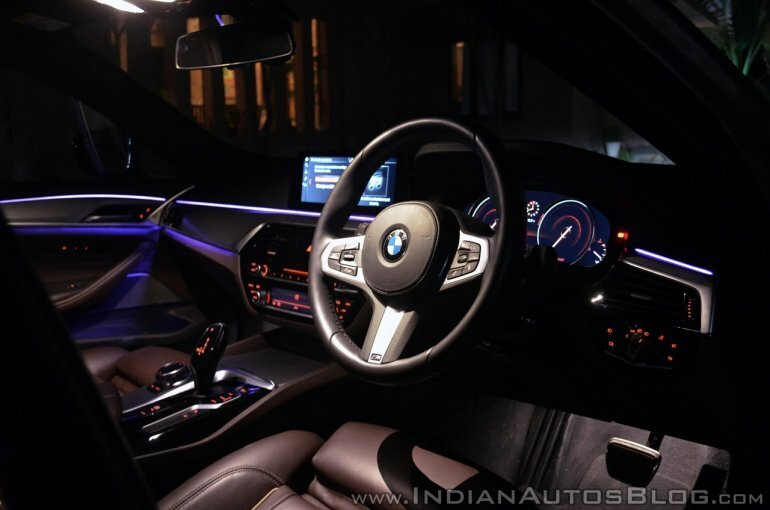 In this particular spec, the asymmetrically laid out dash is finished in black leather and brown lower half with textured grey trim and piano black highlights. As one would expect, the quality of materials used is top notch. What made me fall in love with the 5’s cabin was the ambiance created by the mood lighting post sunset. While there are multiple colour options to choose from, I personally felt the lavender worked best with the contrasting grey trim. Both front seats are electrically adjustable in more ways than you can count on your fingers. They get memory function as well, which comes in handy in case more than one person regularly drives the car. The rear seat occupants get fixed seats with no adjustment options. They get dedicated climate control settings and multimedia screens as part of the rear seat entertainment package. Space inside is ample for four passengers and while a fifth can be squeezed in at the back, the chunky transmission tunnel might cause a bit of discomfort. The instrument console is a fully digital setup. The dials change appearance based on the drive mode selected. There’s also a head-up display for relaying info related to speed, navigation, call log, and music to the driver. The iDrive infotainment setup comprises a 10.23-inch touchscreen display that lets you control everything related to the car. It supports gesture control, which is neat party trick to show off to your friends, but I found myself using the physical buttons on the steering wheel or centre console to control volume, etc. solely because it is more precise that way. 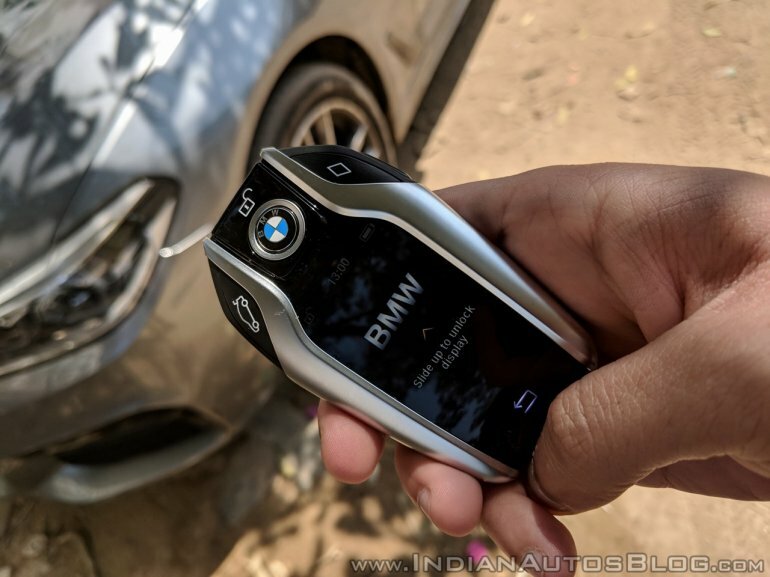 What deserves a special mention here is the BMW Smart Key. The chunky fob consists of a touchscreen display that lets you remotely start the car, and move the car forward or backward. This feature comes in handy when you’re trying to fit the car into a tight parking spot or take it out from one. It also shows the range and lets you set the cabin temperature. Moving forward, expect more manufacturers to come out with a similar arrangement. Integration of these features into the owner’s smartphone may be a more convenient option. 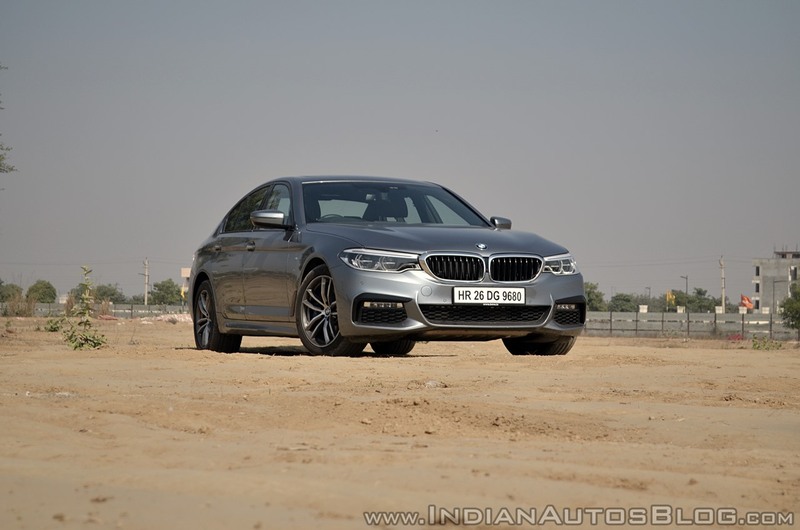 For me, its what lurks under the hood that makes the BMW 530d so special. It gets a new 2,993 cc 6-cylinder diesel engine that produces 265 hp at 4,000 rpm and a very healthy 620 Nm at 2,000-2,500 rpm. There is barely any turbo lag off the line and the vast amount of torque available from so low down in the rev range make this thing quick. It can reach the 100 km/h mark in just 5.7 seconds, which is mighty impressive for a luxury sedan. Every tap of the throttle is rewarded with immediate forward movement. Playing its part well is the 8-speed automatic transmission that sends power to the rear wheels. It rarely gave me any reason to complain. There were instances of it being sluggish when a heavy throttle input demanded a downshift or two, but that is far from being a deal breaker. For a diesel, the low NVH levels engineers have managed to achieve is truly impressive. The cabin remains isolated from the engine noise. Some of it does filter in when the engine is revved hard, but I found that to be a rather likable noise so, no complaints there. 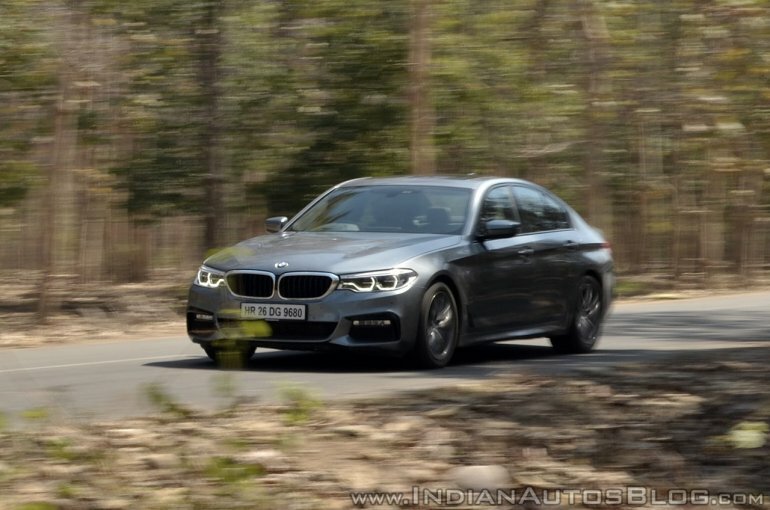 What further sweetens the overall package is the fact that despite delivering on performance, the 530d manages to remain frugal. Despite sticking to Sport mode for the most part and subjecting it to the exact opposite of a light-footed driving style, it returned double-digit fuel efficiency figures. As the 5-Series transitioned from the fifth generation (E60) to the sixth (F10), many bemoaned the fact that it had gone soft. And, in all honesty, their disappointment wasn’t ill-founded. However, with the launch of the seventh generation, the BMW 5-Series has gone back to being a hoot to drive. The inclusion of Dynamic Damper Control plays a major part in that. Essentially, it monitors the road and adjusts shock absorbers to keep the occupants comfortable depending on the road conditions and driving style. 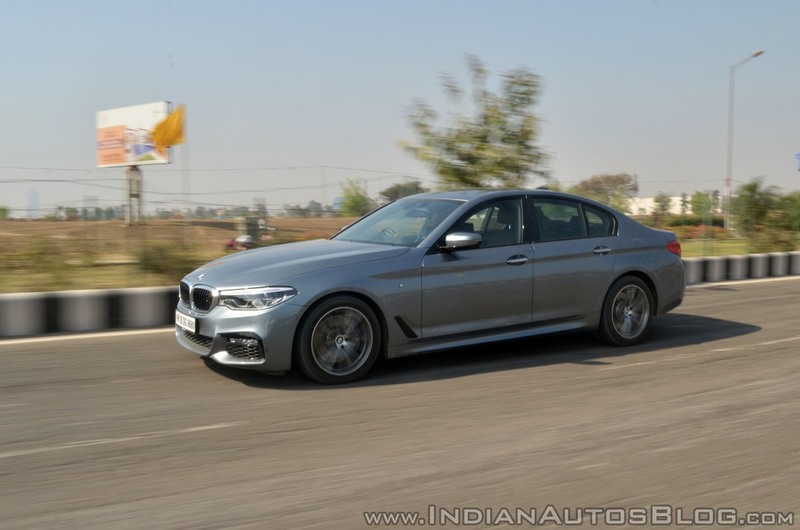 What this means is that the 5-Series can transition from being a comfortable luxury saloon ironing out bumps one moment to a sharp handling corner carving machine the other. It will keep both sections of buyers happy - those who like being driven around and those who like to take the wheel. 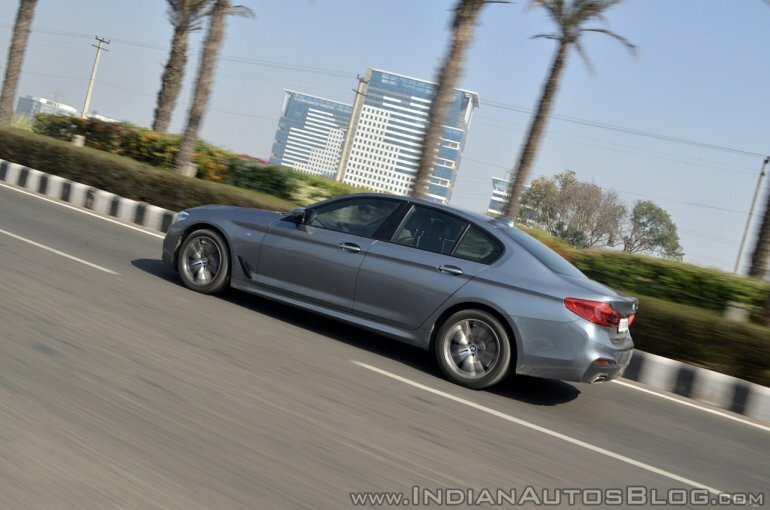 The BMW 530d M Sport retails for an asking price of INR 66,20,000 (ex-showroom Delhi). At this price point, I honestly can’t think of a better buy. But since my duty is to be objective about these things in order to ease your car buying decision, I will admit there is one aspect that might be an issue. 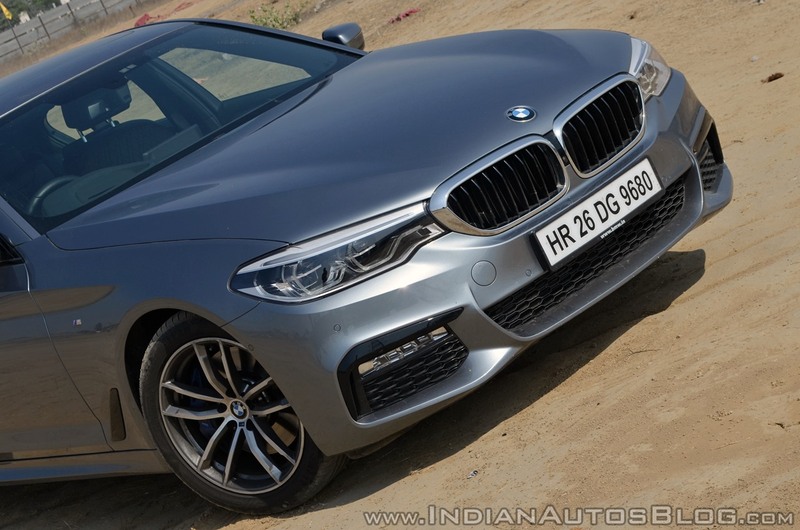 Bearing in mind that buyers in this segment tend to primarily be chauffeur driven, the BMW 6-Series GT makes more sense. Also, the fully loaded Mercedes-Benz E 350 d costs just a couple of lakhs more and the 5-Series can’t hold a candle to it when it comes to rear seat experience. If space in the back isn’t a priority, then I find it really hard to justify not buying a 5-Series. It is a pleasure to drive without compromising on comfort, comes loaded with tech, looks great, and in the 530d form, comes with a smashing engine that delivers near sportscar like performance while being frugal. Best car under 70 odd lakhs, then? Well, for me it definitely is.